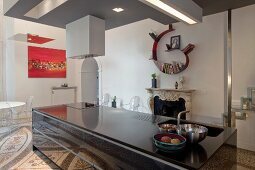 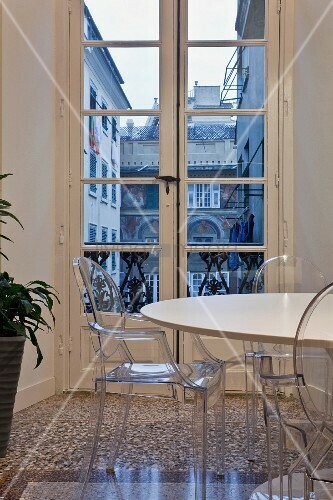 The 200-square metre apartment is in the heart of Genoa’s historic centre. 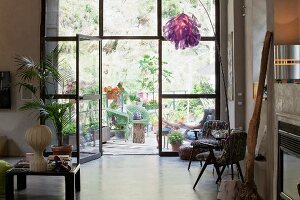 The architect owner introduced contemporary design into a 16th century building by restoring the rooms to their original function via a mezzanine made of glass and steel. 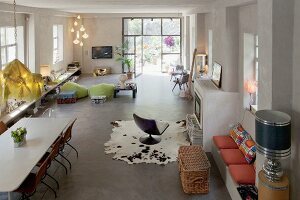 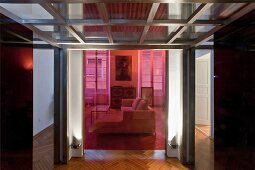 The rose coloured Plexiglas wall is the dominant feature and fills the apartment with warm glowing light..